M. E. Etheridge writes to say that she had hoped to send a gift for Lillian but her financial state makes it impossible. She still hopes to do so in the future and says that she is sending under seperate cover two calendars, one for Miss Berry and one for Lillian. 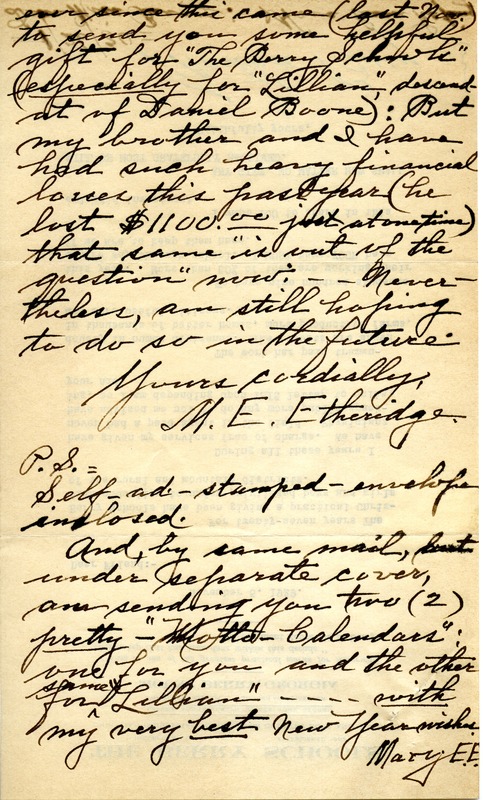 M. E. Etheridge, “Letter to Martha Berry from M. E. Etheridge.” Martha Berry Digital Archive. Eds. Schlitz, Stephanie A., Chelsea Risley, et al. 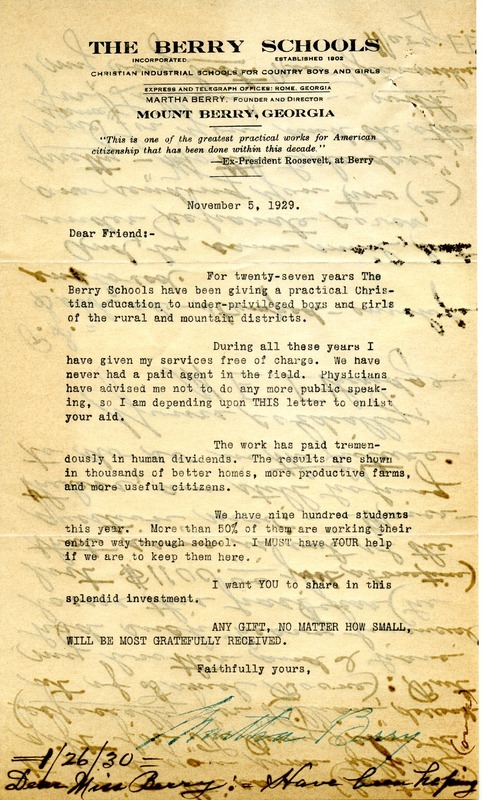 Mount Berry: Berry College, 2013. accessed April 24, 2019, https://mbda.berry.edu/items/show/12492.